LTD. 10" VINYL !!! - Moresounds has such a legit and individual quality to his music. It has humour and light heartedness but will also destroy a dance-floor in true sound clash style. So when he casually sent Fracture the Warriah VIP he knew he had to do something with it. It was a perfect fit for the Astrophonica APHA LTD series; Moresounds' individual style and individually hand screen printed sleeves. 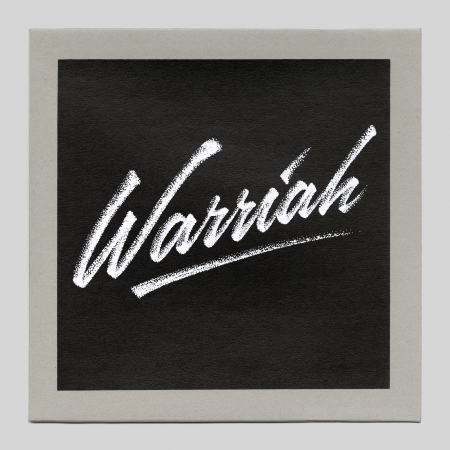 Warriah VIP sees Moresounds aka Germain Bigou revisit his scorcher from 2017's Gradients compilation. Pure sound killer material straight from Moresounds Parisienne lab. The breaks have been smashed and the clash samples have been dubbed out in that unmistakable analogue heavy style. Released on Limited Edition single sided 10" Vinyl with Hand Screen Printed dual colour (black & white) 3mm spined reverse board matte sleeves + black paper inners.